Patients who could not attend routine appointments will be notified of rescheduled appointment dates and times shortly. 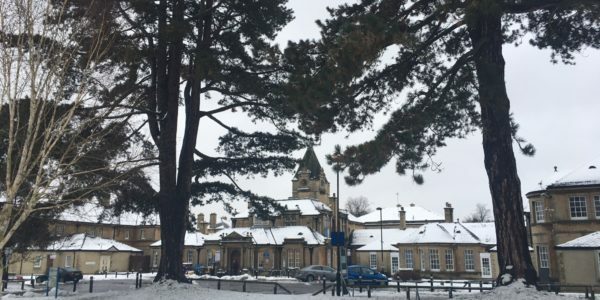 Services have now returned to normal at Oxford Health as the difficult weather conditions ease. Thank you to everyone who bore with us during the difficult weather conditions. Patients who could not attend routine appointments will be notified of rescheduled appointment dates and times shortly. Our urgent care and inpatient wards remained open during the snowy period and we thank everyone who made that possible. Chief Operating Officer Dominic Hardisty said: “As the worst of the recent bad weather passes I would just like to take a moment to thank everyone who braved the elements and battled their way into work over the past couple of days. “The recent deluge of snow and subsequent cold snap provided us with a challenge across all our services and I am delighted by the response we’ve seen from everyone, pulling together to make sure our patients and service users got the care they needed. “We have seen staff walking through the snow, teams pitching together and giving colleagues a lift and in one case there was even a member of staff who skied into work. If that isn’t commitment, I don’t know what is!